A Ct. outing in the works for Saturday July 11th. Looks like starting point is Milford, Ct.
Luke from Under Clear Skies has volunteered to be our guide for the day. This is what he suggests for the day. I would suggest (depending on how long people want to go for) to start at the Connecticut Audubon Center in Milford and work our way from there. I'll do some work on the tide times for the day which will help work out when is best to hit that spot and others. Milford is great for migrant peeps (what a joy I hear you thinking). Also good for other shorebirds, terns etc though and local spots should produce a nice array of birds such as YC Night-heron, Boat-tailed Grackles etc etc. Spouses and significant others welcome. Dont know if people will want to bird on Sunday as well...Jeff and I wont be able to...but feel free to make plans for Sunday...I will post them when I know if there is interest. In the works..is a Birders who Blog, Tweet and Chirp meets Birds and Beers. Birds and Beers is Birdchicks get together In MN. So if you will be in the Minneapolis,St. Paul area the weekend of August 14th we will do some birding and some beering! attending and the list will grow.. If you would like to attend either event..add a comment and I will add you to the list. stay tuned to my blog for further details. Let's make sure we get the group together in Lakeside at the Midwest Brding Symposium! Check back with me and I will get a place to meet up! I will not be there. I think i will be planting somethings. It's a work day for me, so it's a big maybe. Depends on how I am the night before. I am still in the Mid-West hunting bugs! I will enjoy your stories and photos. Sounds wonderful...do hope you have a great time and sunny weather!! Excellent..look forward to meeting you! See comment on your blog post regarding meeting. Darn..well try to get the day off! Take lots of bug photos! you always do a great job!!! Thanks Tina! I hope it is sunny and dry! Hi sicksta..Thanks..you can come if youd like..see how crazy us birders can be. ok what do you really think????? Can you walk like this? The crazy family can! My First Birds in flight! They grow and they go…. Birder or Blogger? Please feel free to use this button on your blog. Phacelia tanacetifolia - "Bee's Friend"
Save a Life Saturday......and be prepared everyday. May 11 - 13 2012 RV Trip to Belle Isle State Park, Va.
Muse Swings - THE BOOK! Mama Grandma June Snowbirds For A Week With Us! PCB Fabrication: What is it? New Travel Blog: Happy Janssens! 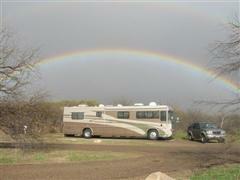 Artful RV Adventures.com In full pursuit of our passions!